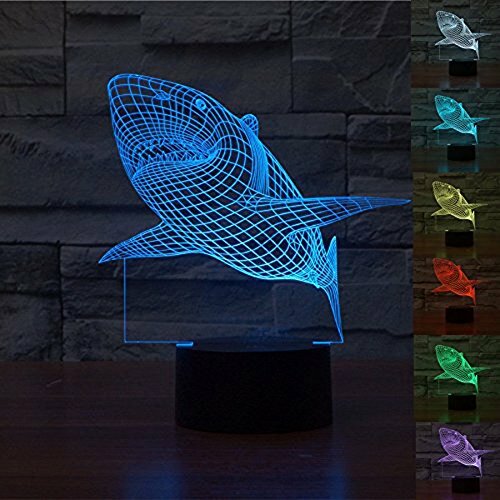 These 3D illusion lamps not only make great night lights for kids but their soft lighting also makes them useful for mood lighting in any room. 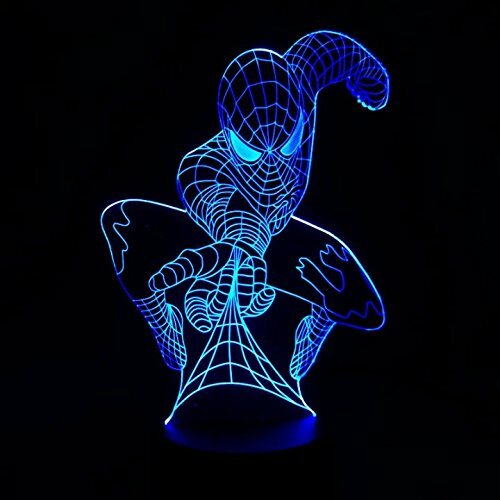 The LED lights form an intricate network of projected light to produce the illusion of a 3D object and most of the Illusion lamps included here also have up to 7 different colors which change gently from one to another. 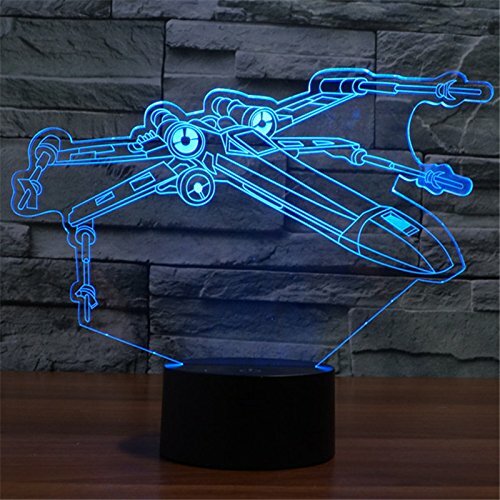 For any Star Wars fan, the space vehicles are often a favorite feature of the movies. 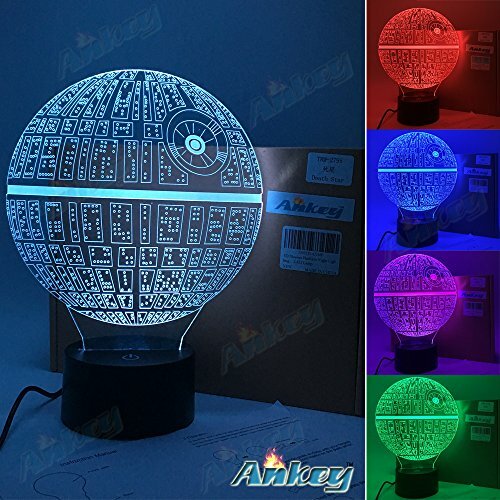 In this set of Star Wars Illusion Lamps, there’s a TIE Fighter, an X-Wing, the Death Star and the Millenium Falcon available as well as Darth Vader and everybody’s favorite robot – R2D2! 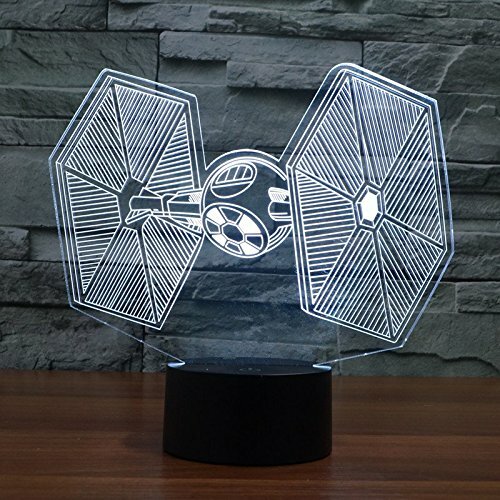 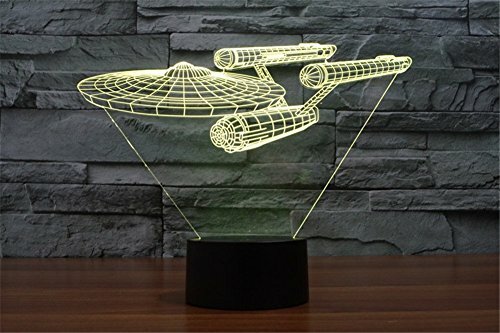 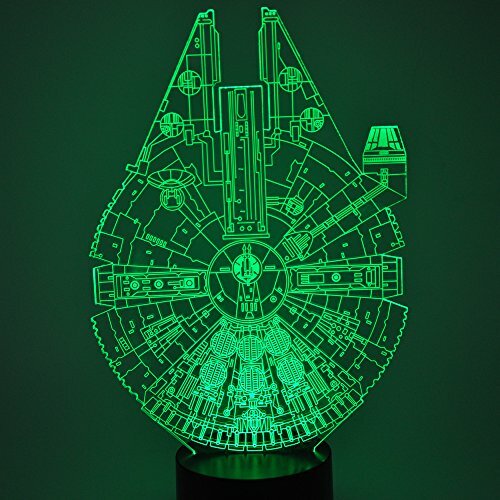 The detail of these amazing light sculptures makes them perfect for any Star Wars fan, especially the younger fans who might still want a night light. 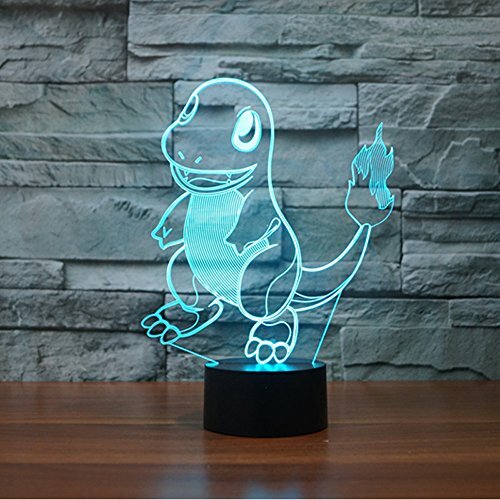 If you are a geek about animals and mythical creatures, then this small selection is for you. 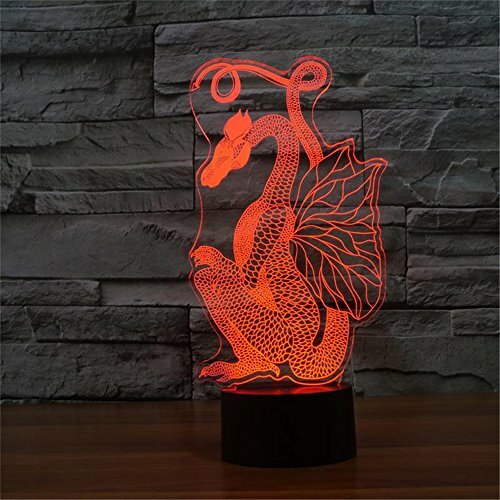 There’s a Great White Shark or a really creepy big Spider Illusion lamp available or you could chose the gorgeous Dragon of course. 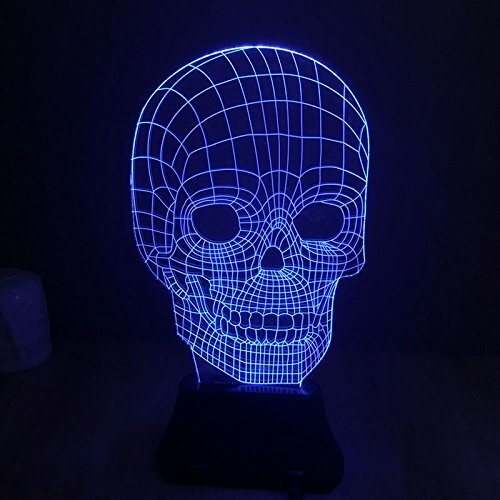 Who knew skulls came in so many shapes and sizes! 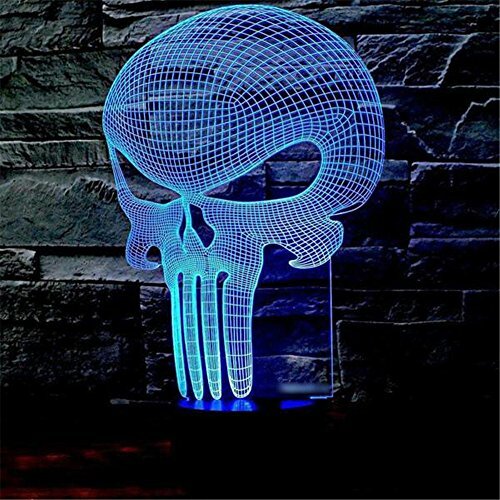 There’s a standard human Skull illusion lamp, a typical Alien skull night light or a weird, long tooth Skull illusion lamp available. 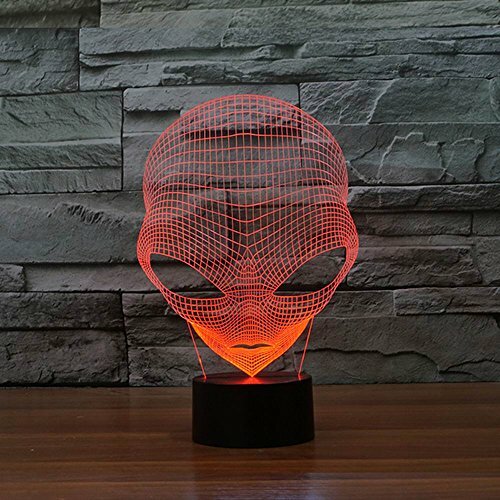 The Alien Skull is a firm favorite and is especially creepy when the light changes to green! 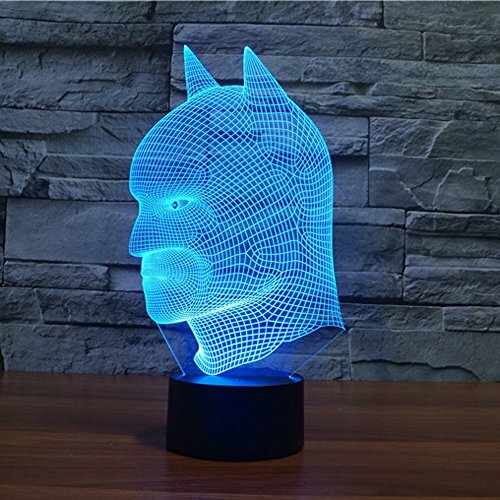 There are so many different 3d Illusion lamps available, it was difficult to pick just a few but this section has TV and movie characters as well as Superheroes. 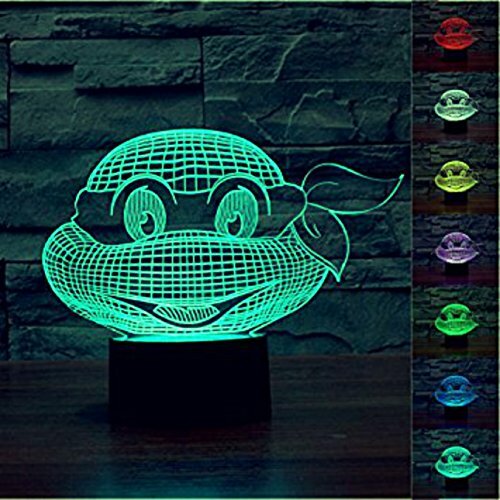 For younger fans, there is a Teenage Mutant Ninja Turtle night light or a cute Rocket Raccoon night light. 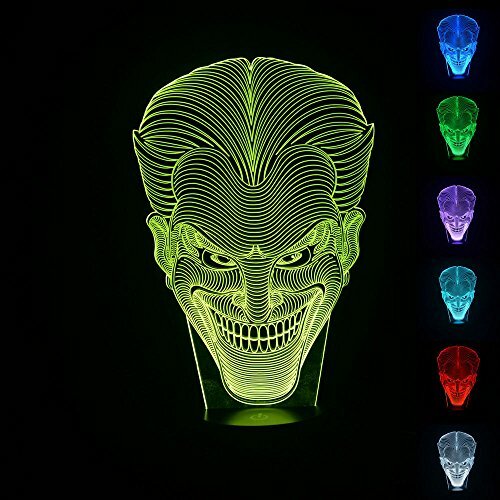 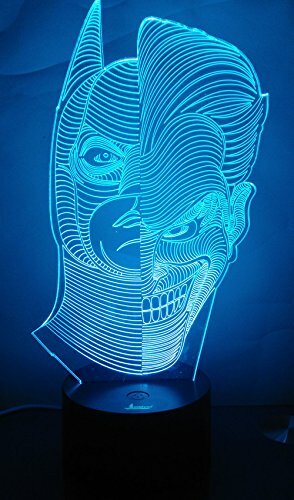 For Batman movie fans, there is a choice of illusion lamps – Batman, The Joker or a mix of the two in a half face lamp. 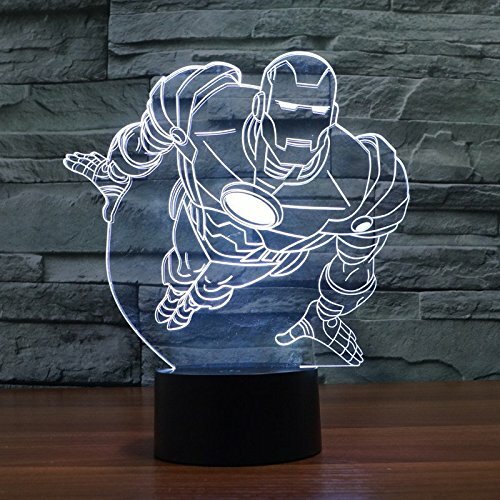 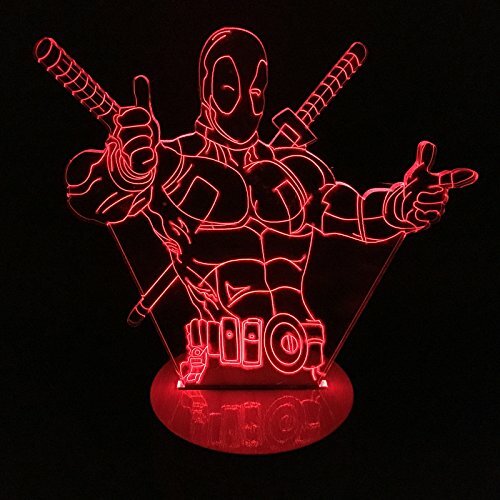 Of course, Superhero fans have their own Illusion lamps too – chose from Deadpool, Ironman or Spiderman in this small selection. 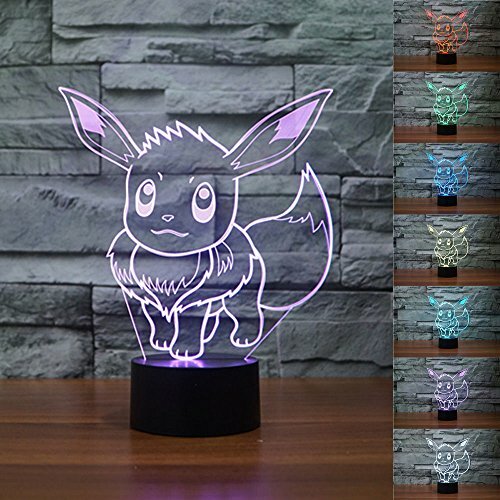 In this last section, there are three different Pokemon illusion lamps which would make perfect night lights for the youngest member of any geeky family! 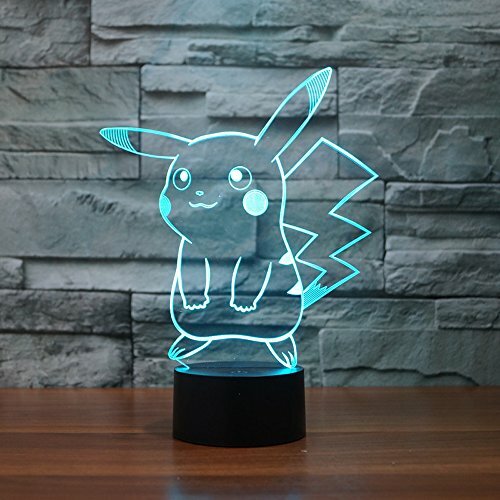 Chose from Pikachu, Eevee or Charmander for the cutest of the 3d illusion night lights in this post! 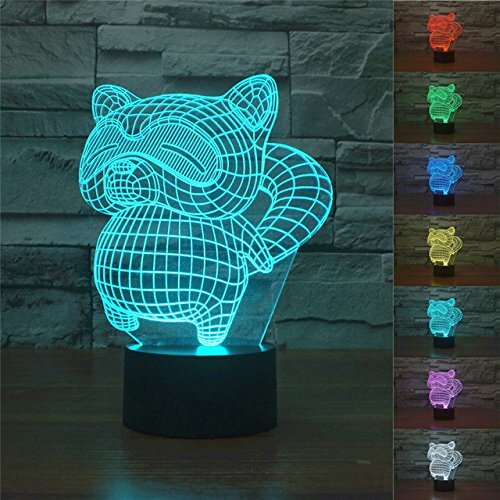 Thank you for browsing this great selection of amazing 3D optical illusion lamps and night lights. 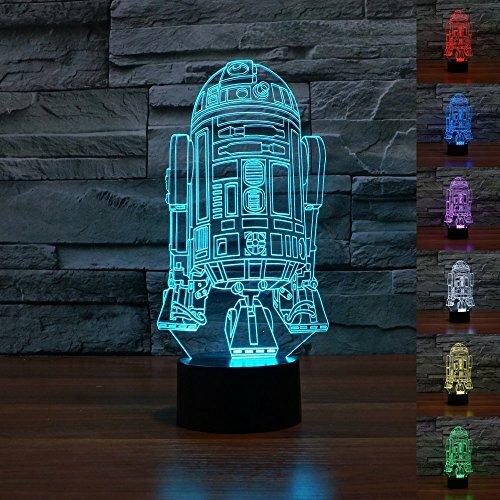 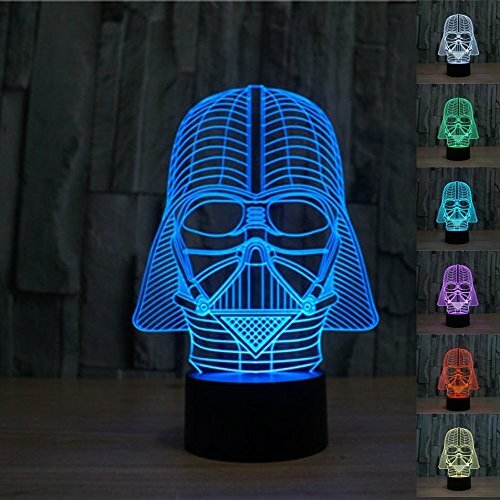 If you have a geek to buy a gift for or if your child needs a cool color changing night light, then there’s bound to be something here for them. 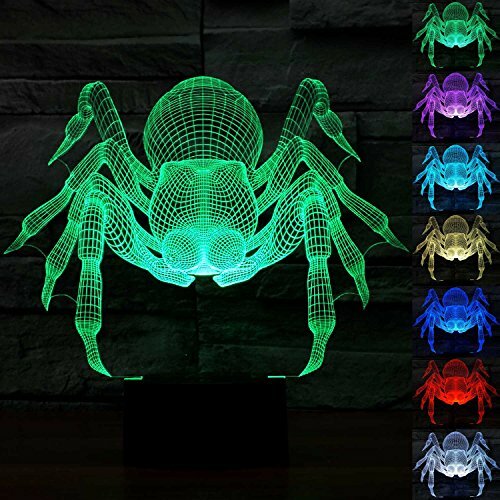 There are 100’s of different illusion lamps available though – check out all these other great 3D illusion lamps before you leave.